hey i was jus wonderin if sum 1 could plz skin this gun for me cuz i know nothing of skinning or modding but i love this gun. 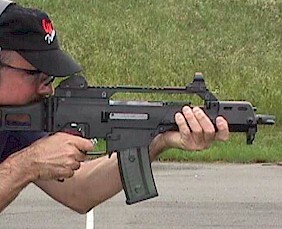 heres a pic... its called the G36C and its made by HK. i know quite a bit about guns so fell free to ask for info about other guns. i would really love it if sum 1 could do that for me thx. ill try to get some other pics too. and that pic is of a airsoft rifle so dont mind the orange. heres one of the forgrip heres both sides of the reciever...... the magazine........ whole thing from right side..... well thats it for now so plz sum 1 help me!!!!!!!!!! cool gun, i wouldn't mind using it! ya man i would love it if you could try it cuz i never have time to play games n e more lately cuz baseball and school. the gun is pretty tight though. 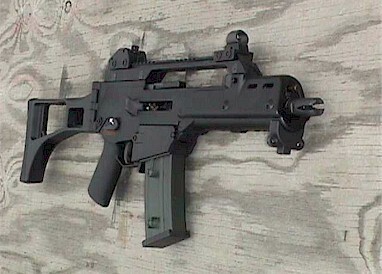 im gettin an airsoft one of it. a whole weapon mod would be cool too. thx man. dude, thats beautiful.:bows: . i dont wanna rush or anything but how long do you think it may take? even though it could take 2 years and i wouldnt care. thx again. peace.my names nick by the way.